#UberIceCream Delivery: Smiles at the Office! We still don’t have Pokemon Go here in Tokyo, but we do have free ice cream with #UberIceCream! Today 400 cities around the world are enjoying frozen desserts delivered by Uber. Tokyo was one of the cities, so it was the perfect opportunity for the Innovative Language team to enjoy the refreshments. The timing couldn’t have been more perfect: a sad grey sky, rain, and high temperatures because summer in Tokyo is not a joke. What better way to enjoy the Friday, the infamous last push before the weekend, than with ICE CREAM?! It’s a universal way to create happiness. And this is what happened after we had an unexpected ice cream break, with a bag full of Ben & Jerry’s delivered by Uber to our office in Akasaka! There was ice cream for everyone, some colourful shirts, and pins to complete a perfect scene as we savoured the Bourbon Brown Butter or Dark Chocolate Brownie flavors! Whether you’re an Uber driver or part of the #TeamTaxi, never forget that it’s possible to learn a language in your car! And to all other language lovers, don’t forget to enjoy our hot 30% off deal on one of the 34 languages of your choice with the “SUMMER2016” discount code. The campaign starts on July 18th, 2016 ! New Feature! Finally… An Easy, Step-by-Step Path for Learning Languages! Want a guaranteed, step-by-step way to learn a language – without getting lost or wondering what to learn next? Just imagine yourself going from…. Imagine you had a path – designed by our language teachers – that took you to fluency! Interested? If so, read this newsletter carefully to learn more! You get just that with Learning Paths: your new study tool at Innovative Language! Here’s how you take advantage of Learning Paths – your step-by-step roadmap to mastering your target language – at any of our 34 Language Learning Sites. Click Here to Get Your Free Lifetime Account & Access Learning Paths! 1) Choose Your Learning Level on the Top Left Side of the Page. You already selected this when you signed up. Based on your level, you’ll get the Learning Paths and lessons that are right for you. When you change your level, we will add recommended courses for the new level as well. Inside “My Pathway,” you will see your recommended learning paths based on your level. All lessons have been handpicked by our language teachers. To see more recommended paths, simply click on “See All” and to start learning, click on the blue “Study Now” button. You’ll never be confused about what lesson to take next. Once you’re done with a lesson, click on “Mark as Complete” and we will take you to the next lesson. You’re guided every step of the way until you reach your language learning goals – whether learning to read or write, reaching fluency or simply speaking with confidence. Want to know how far your language has come along? Don’t worry, we track your progress so you can see exactly how much effort and dedication you’ve put in. This is perfect for learners who are motivated by seeing their progress grow! 5) Want to Customize Your Learning Paths? 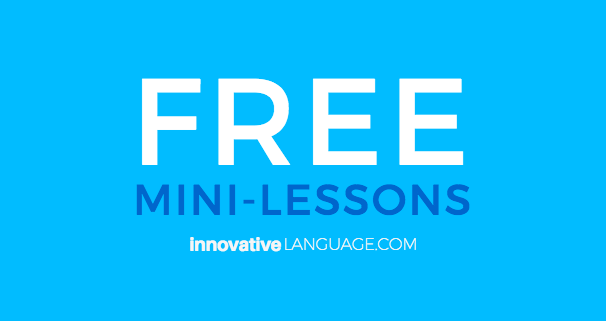 Want to add some Writing Lessons, Pronunciation Lessons or Listening Lessons? 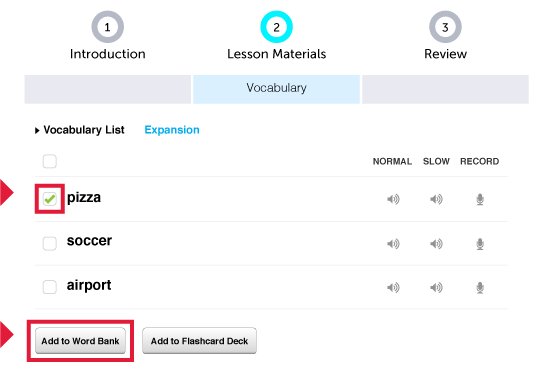 Customize your Learning Paths by adding more lessons. Simply click on “Add A New Path” and find the paths that fit your goals and interests! What Makes Learning Paths So Special? We’ll Guide You From Zero to Fluency. Access it right now on the Dashboard of any of our 34 Language Learning Sites. Are you currently debating whether or not to learn a new language? Click Here And Start Learning a new language With A FREE Account! 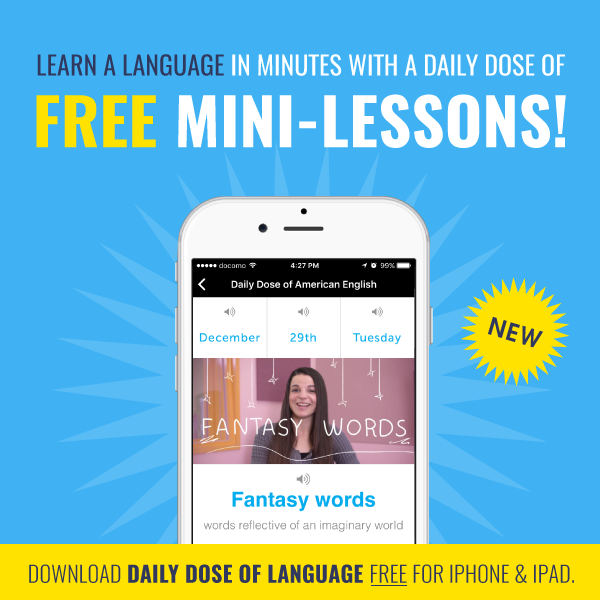 Start Learning a New Language For Free By Clicking Here! 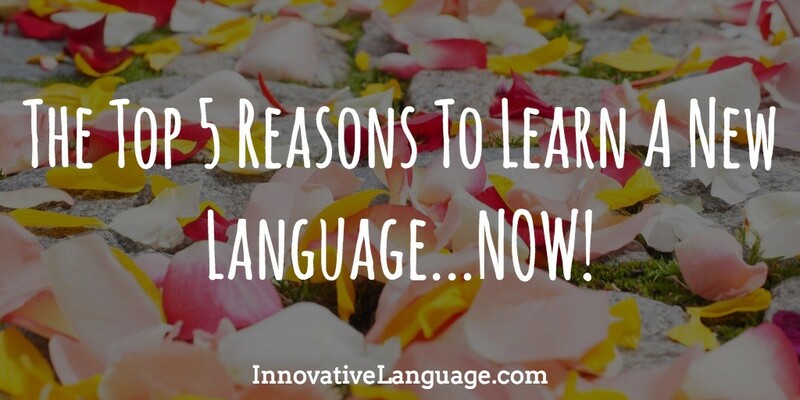 There are millions of reasons to learn a new language, so what are you waiting for? Dive in head first and start studying with us! 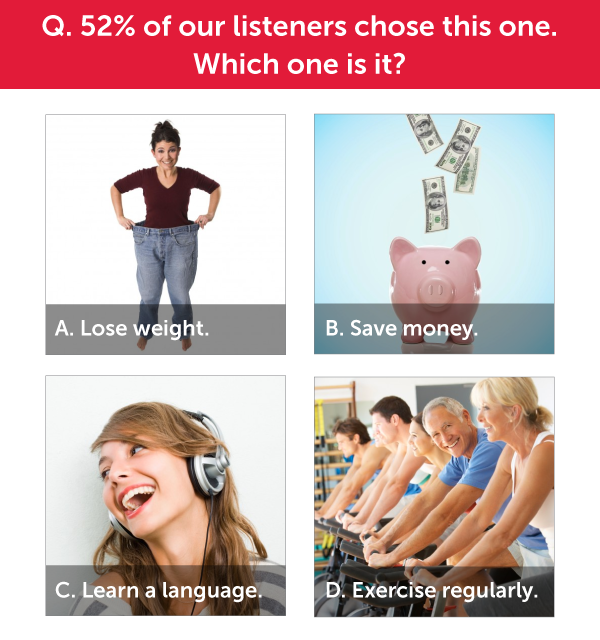 You can sign up for a FREE lifetime account and start achieving your new language goals today! Japanese anime is very popular around the world. So popular that many people decide to learn Japanese because of their love for their favorite anime shows. But one problem with learning Japanese through anime is the kind of Japanese you’ll absorb this way. The characters in anime live in their own universe, where everyone tends to use slang, casual language, informal pronouns and even made-up words. It’s very easy to spot people who learned Japanese exclusively through anime – you’ll see 20-year-old boys talking like 10-year-old kawaii girls, or 20-year-old girls talking like yakuza, for example! Needless to say, native Japanese speakers may not take them seriously! Despite this, it can actually be useful to incorporate anime into your language learning routine. 1. It helps you practice your listening skills. Listening skill are of course closely related to pronunciation. 2. It gives you more than just a glimpse into Japanese culture and modern day pop-culture. Cultural references are absolutely vital to learning any new language, and anime is deeply rooted in Japanese culture. People will throw anime references into their casual, polite and even business conversations. 3. Just as importantly, catching up on your favorite shows is a great and fun way to take a break from your ordinary language learning routine. Anime is a great learning tool because it’s fun and there is a lot of it. In fact, there’s anime for everyone: romance, action, adventure, horror, comedy, sports, historical – basically in any genre you can think of. 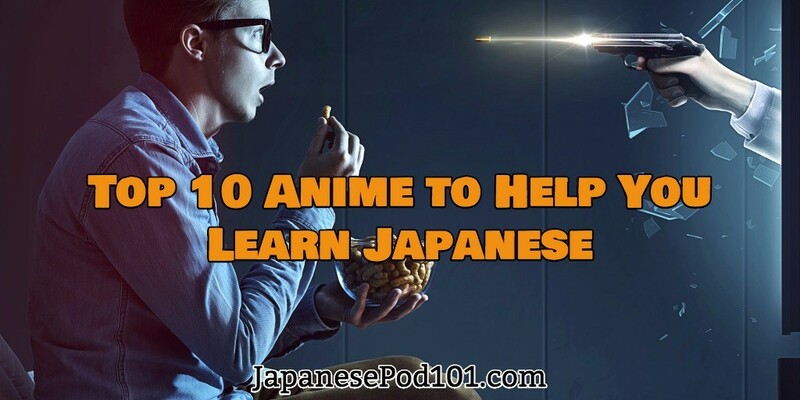 As long as you don’t lose sight of your ultimate Japanese language goal – to speak fluently and properly in any situation – anime definitely has a place in your language learning routine. We’ve listed some fun anime series you can get into and improve your Japanese. We tried to pick easy to understand shows that use everyday language. Hopefully these will give you some good jumping off points. But remember: this is just a partial list, and there really is an anime for everyone. If you don’t like the series we listed below, you can easily find a different one!